Perhaps nothing is more beautiful than the natural glow of happiness that becomes every bride. 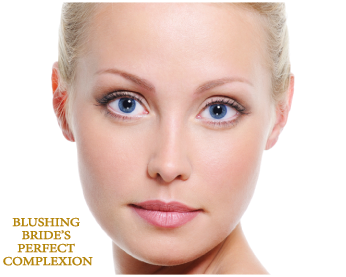 To enhance your glow, we recommend a series of monthly facials beginning as early as 6 months before saying "I do!" Choose from one of our luxurious 75-minute facials. When you purchase 5 facials, the 6th one is our gift to you. A complimentary make-over will be offered on the last visit. We require a 72-hour cancellation notice on all bridal appointments. No-shows and appointments cancelled without proper notice will be charged in full.